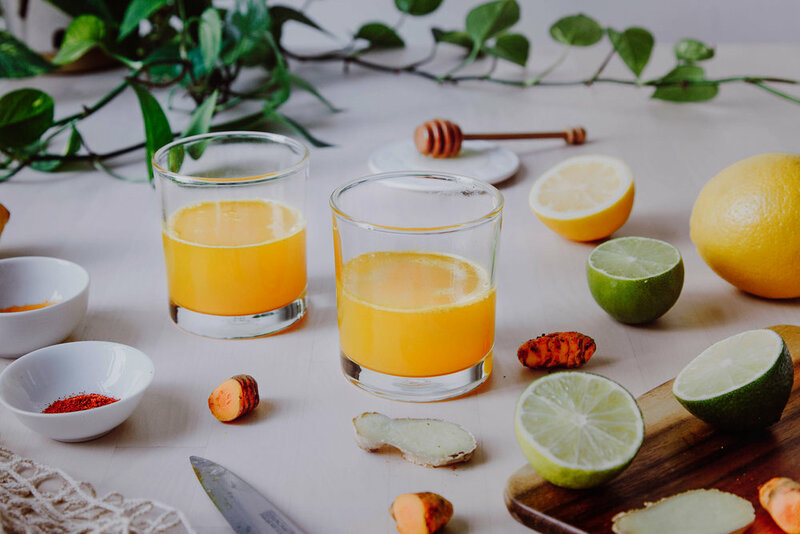 A golden turmeric shot a day, brings your bounce back to slay! During my last wellness retreat at Amatara Wellness Resort situated in Phuket, it was an enlightening, and restorative one to remember. 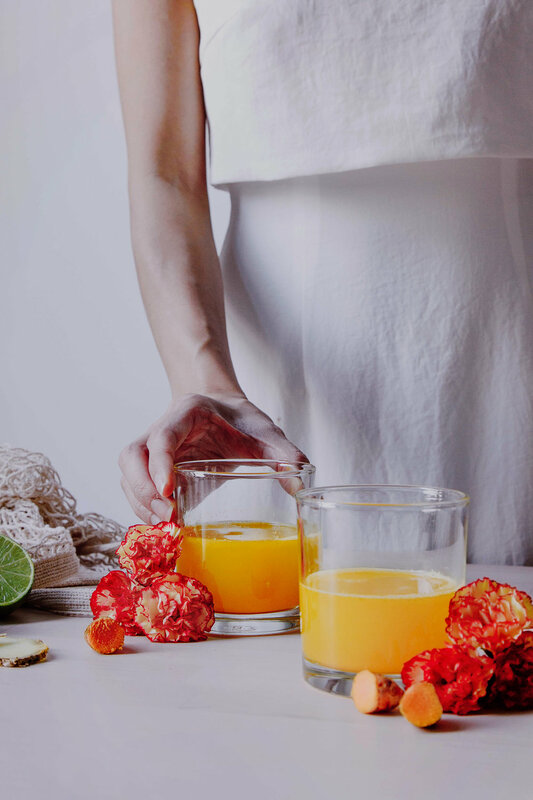 Having their crafted turmeric shot every morning before a morning yoga class not only awakes my palate, but also keeps me sharp and focus throughout the day. I am inspired by Amatara’s strong concept of wellness cuisine, and how they embrace authentic healing foods for optimal nutrition. 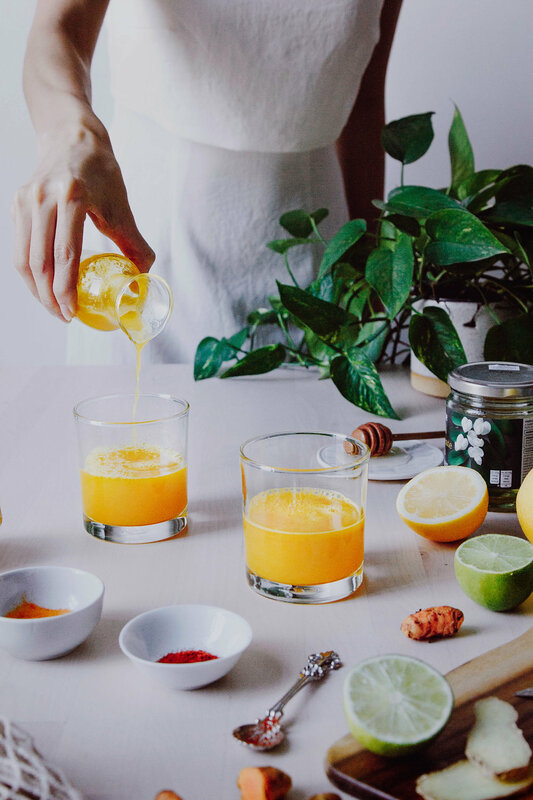 So once I returned home, I got into the habit of recreating this turmeric shot every morning for that burst of energy. Curcumin is the main active compound in turmeric. It results to a golden-hue, which will instantly stained on anything it comes in contact. Be sure that you are not wearing your favourite nightgown or PJs, while preparing this extremely potent and sweet-earthy concoction. Scrubbing this stubborn stain away may not be the most positive task to kickstart your day. Despite curcumin’s powerful anti-inflammatory effects, and its properties to improve digestion and memory, the content in turmeric is not high, around 3% by weight. To boost the absorption of curcumin, I sprinkled a pinch of black pepper to the turmeric shot composition before it is ready to blend. This nourishing shot is an inexpensive, healing potion that I am hooked on. I hope you’ll give it a shot (pun intended) and let me know your thoughts! Designate a glass just for the turmeric shot. You’ll be reusing the stained glass every day anyway. Use a small piece of kitchen paper to hold raw turmeric root while handling it at all times. This is to prevent having yellow fingertips and nails. Rinse your mouth with mouthwash, brush your teeth, and scrap your tongue shortly after you take a shot. - Peel turmeric and ginger skin. Cut them into small chunks. - Add all ingredients into a juice blender. For a more peppery, pungent kick, sprinkle an extra pinch of cayenne pepper. - Blend the mixture for 2 minutes. Serve between two glasses, and take the shot right away.